The package includes a cheesecloth and a nigari coagulant. 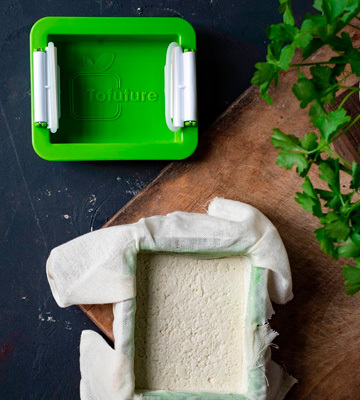 That means you can use the tool to make your own tofu and not just press store-bought goodies. With that one 30-gram nigari pack, you'll be able to prepare your own tofu for months. You have to wipe it off after every clean. 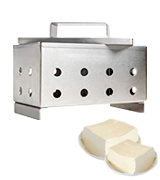 The Tofu Box is as practical as any other modern tofu press on the market today. But, with its original Japanese style wooden box design, it looks a lot more tasteful and refined. Elegant appearance and practical application are enough to put the model ahead of its competition. 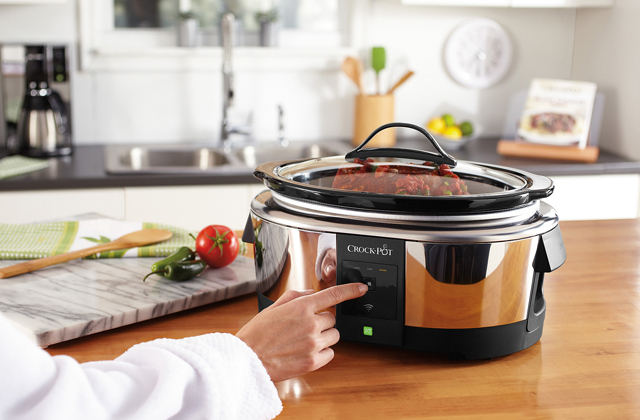 The food-grade stainless steel doesn't take on residual odours or tastes, so it won't affect your food's flavour. 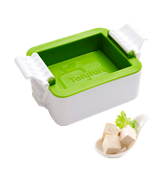 Using a 2-pound weighted lid, you'll be able to gently but firmly squeeze excess water from your tofu. 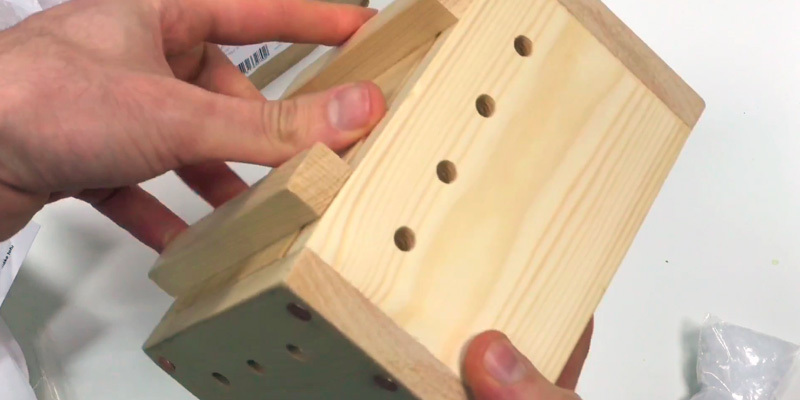 36 draining holes on the sides and bottom allow the water to easily escape. The stainless steel feet might leave marks on certain surfaces. 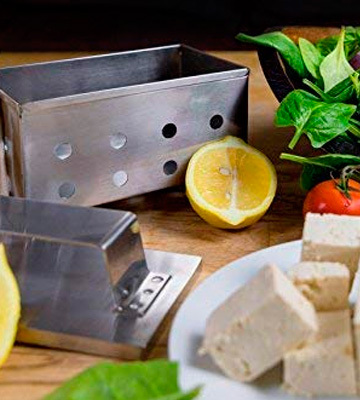 Collingwood Ecoware Stainless Steel Tofu Press will allow you to enjoy delicious tofu-based meals at home for years to come. 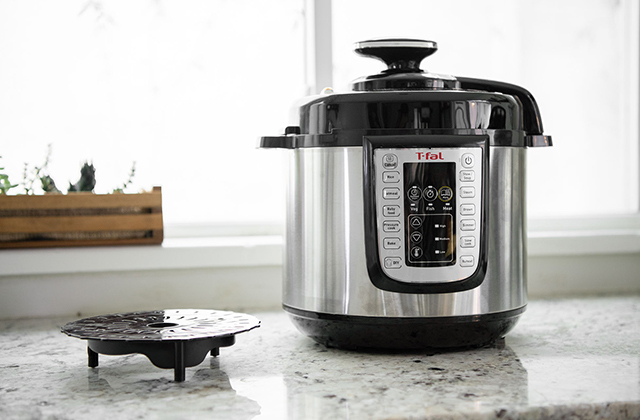 Though the model is robust and durable, what makes it such an attractive option is just how convenient it is and how easy it makes to prepare tofu. The press will let you cleanly and easily remove excess water from tofu. Gradual pressure will provide you with it great, firm texture and consistency. 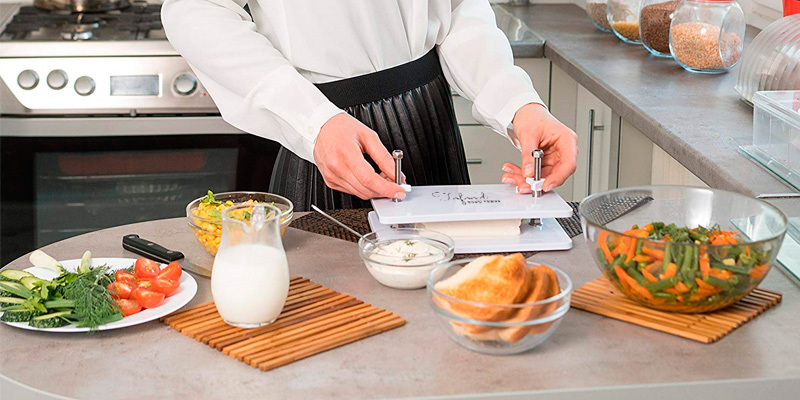 The 3-position latches allow you to change the height and make it equally convenient to prepare different tofu portions at a time. The light housing is easily soiled. 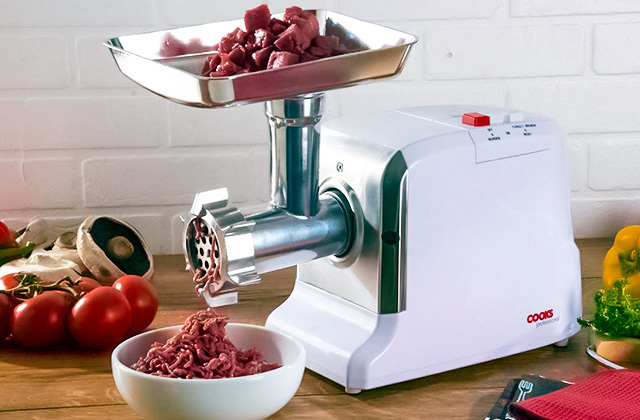 Tofuture Compact Tofu Press has a nice, colourful profile that might just prove a lovely addition to your kitchen. More importantly, with this tool, you'll be able to expand your culinary horizons and include a new, healthy, and ethical addition to your everyday diet. The model will be able to fit just about any tofu block. With centre marks on the bottom, your block will remain square as you press upon it. The platform doesn't incorporate any openings, so you can press tofu without wrapping it in cloths. The screws are susceptible to rust. Tofoo’d Tofu Press is great. The model has a modern, almost sophisticated appearance that will mesh really well with a modern kitchen setting. Though the tool isn't all that compact, it is more versatile than your average press and its price is lower too. The tool couldn't be any less demanding in terms of maintenance. You can always use a dishwasher or rinse it under lukewarm tap water, that will be enough to clean the container. 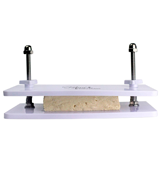 Though its size is modest, the press will allow you to load and prepare up to 500 grams of tofu at a time. The lid isn't weighted and it doesn't work well with separate weights. BU-Bauty BU2017 Homemade Tofu Press-Maker is a basic tofu press. It will allow you to drain the water from your tofu, turning the tasteless, spongy substance into the delicious ingredient that it can be, capable of improving so many meals without sacrificing any animals. 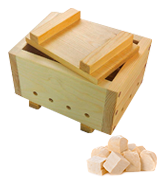 The Tofu Box has that original Japanese style wooden box design that people have been using in the aforementioned country for decades to prepare tofu. It comes available in 3 different sizes. The model in question is regular-sized. 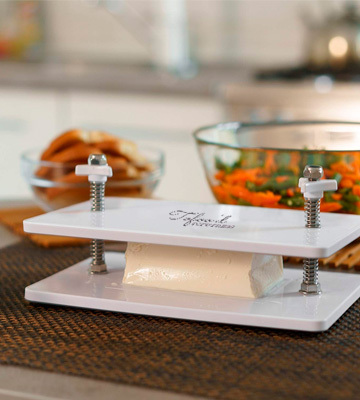 With it, you'll be able to prepare about 500 grams of tofu at a time, not dissimilar to your average tofu press. It isn't necessarily as easy of a contraption as your typical presser but, fortunately, the package comes supplied with a relatively comprehensive instruction manual. In addition to the manual and, of course, the press itself, the package includes a cheesecloth and a nigari coagulant. 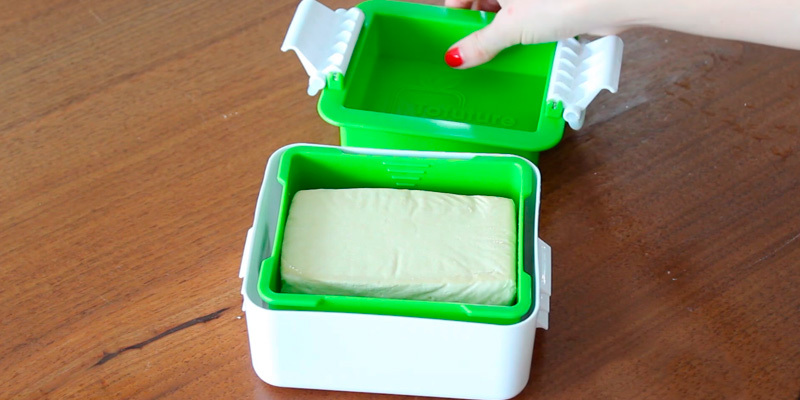 That means you can use the tool to make your own tofu and not just press store-bought goodies. With that one 30-gram nigari pack, you'll be able to prepare your own tofu for months. The box adds up to 17 x 12.5 x 12 centimetres in overall dimensions, not too large but not too compact either. It looks good and its wooden feet provide a solid foundation. The only gripe we have with wood here is that you'll have to wipe it off with a damp cloth every time you clean it. Otherwise, it will soak the water, crack, and/or expand. 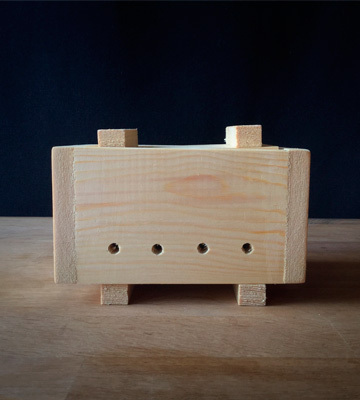 In short, The Tofu Box is as practical as any other modern tofu press on the market today. But, with its original Japanese style wooden box design, it looks a lot more tasteful and refined. Elegant appearance and practical application are enough to put the model ahead of its competition. The people at Collingwood Ecoware call this product's design simple but superior. As far as we're concerned, that is an apt description. 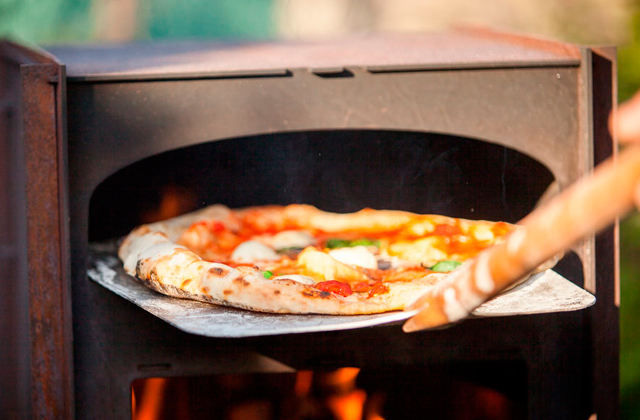 First, the model's food-grade stainless steel construction is built to last. That "food-grade" part implies that the press doesn't take on residual odours or tastes, so it won't affect your food's flavour. Materials aside, the model incorporates a 2-pound weighted lid. 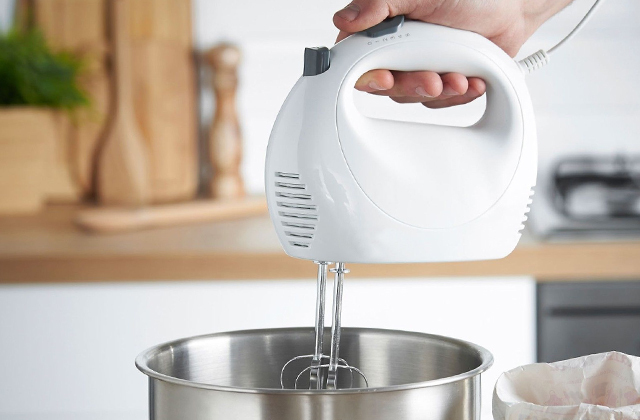 With it, you'll be able to gently but firmly squeeze excess water from your tofu. Now, back the press, we would first like to highlight its 36 draining holes on the sides and bottom. This way, the water is able to easily escape. To a degree, just as pivotal to the tool's overall utility is its flat-levelled handle. 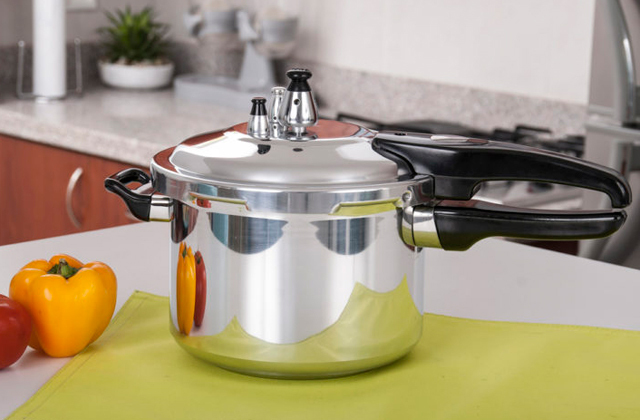 Making it easy to add extra pressure whenever necessary, the handle is one of the biggest reason's the model is so convenient and practical in the first place. Now, there are downsides to the tool's stainless steel construction. Though the steel feet provide an excellent, reliable base, they aren't too forgiving and will often leave marks on certain surfaces. However, we wouldn't say that it is a huge price to pay for an otherwise great product. In other words, Collingwood Ecoware Stainless Steel Tofu Press will allow you to enjoy delicious tofu-based meals at home for years to come. 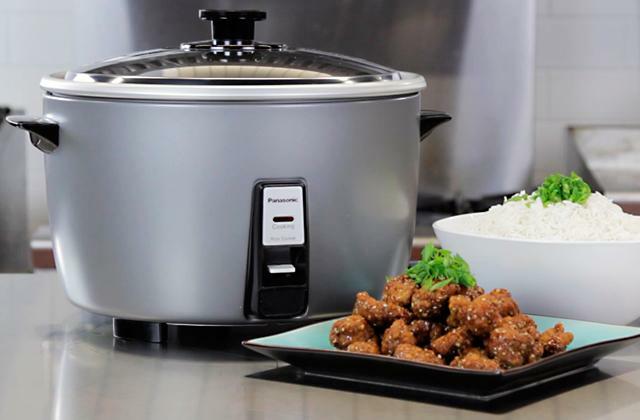 Though the model is robust and durable, what makes it such an attractive option is just how convenient it is and how easy it makes to prepare tofu. Sorry to whoever's behind this press that decided to dub it "unique and stylish" but these aren't the words we would use to describe the model. There's some uniqueness to its design but stylish is a stretch. We aren't saying that this is a bad tool though, far from it. 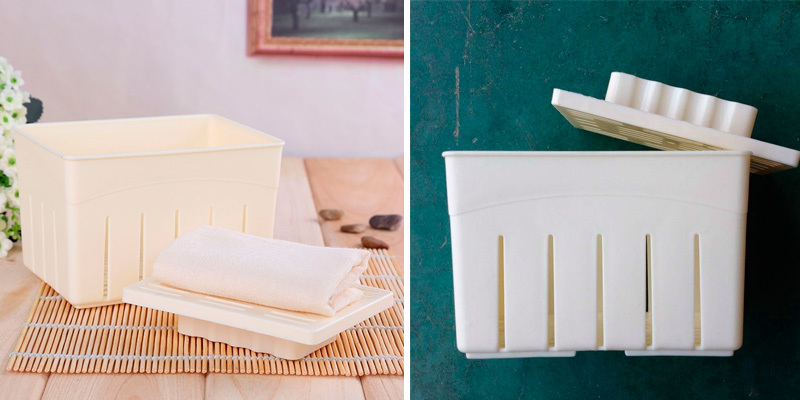 With its help, you will be able to cleanly and easily remove excess water from tofu. Gradual pressure will provide you with it great, firm texture and consistency, turning the tasteless, spongy substance into a delicious, ethical, and healthy addition to your everyday diet. What we definitely can say in the model's favour is that it is really compact. Measuring just 14 x 12 x 7 centimetres in overall dimensions, you will be able to always find enough space for it in your fridge. 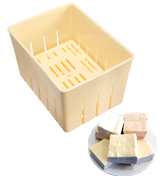 Despite its modest size, however, the tofu press will let you prepare up to 400 grams of tofu at a time. 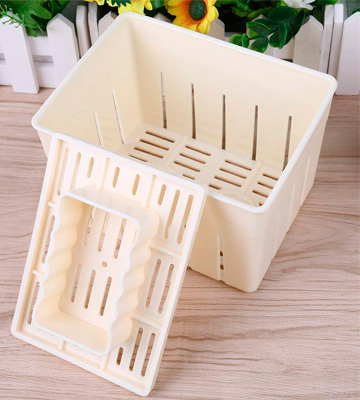 Its construction is BPA-free and very much resistant to temperature changes, so, again, you can always put it in the fridge to maintain the tofu's freshness without worrying about the tool. The aforementioned "unique" part probably comes from the 3-position latches that allow you to change the height and make it equally convenient to prepare different tofu portions at a time. Bottom line, Tofuture Compact Tofu Press has a nice, colourful profile that might just prove a lovely addition to your kitchen. 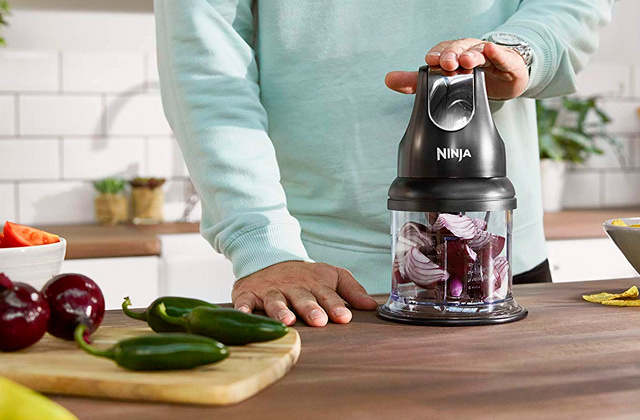 More importantly, with this kitchen tool, you'll be able to expand your culinary horizons and include a new, healthy, and ethical addition to your everyday diet. Tofoo’d Tofu Press looks a little more sophisticated than your average press like that. But that's not the only thing the model has going for it, otherwise we definitely wouldn't have included it in our selection. First and foremost, it is a practical and convenient tool. 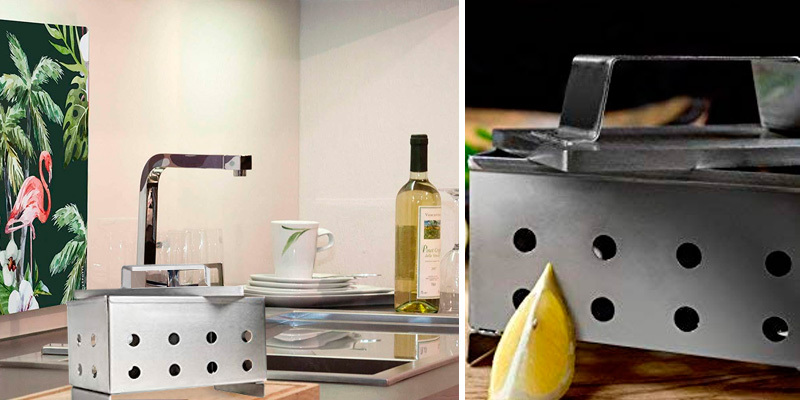 With this press, you'll be able to drain water from your tofu in less than 15 minutes. You won't have to balance stacks upon stacks of books. You won't have to use plates and pans as weights. You won't have to wrap a block of tofu in tissue. The model isn't all that compact. You could call it a disadvantage because, featuring 24 x 15.5 x 12 centimetres in overall dimensions, it sure takes up more space than your average tofu press. On the other hand, its size allows the press to fit just about any tofu block. Furthermore, with centre marks on the bottom, your block will remain square as you press upon it. The platform doesn't incorporate any openings, so you can press tofu without wrapping it in cloths. For the most part, we like the model's construction, especially its BPA-free plastic parts. But the metal screws are susceptible to rust, a bit of a shame considering the otherwise excellent build. All in all, Tofoo’d Tofu Press is great. The model has a modern, sophisticated appearance that will mesh really well with a modern kitchen setting. Though the tool isn't all that compact, it is more versatile than your average press and its price is lower too. BU-Bauty BU2017 Homemade Tofu Press-Maker is between 5 and 10 times less expensive than your average tofu maker and every model on this list. With a price tag like that, you can imagine there are some limitations. For example, the lid isn't weighted and it doesn't work all that well with separate weighs either. The model doesn't incorporate any feet, so the base here can be a little unstable. Having said all of that, considering the price tag that the tofu press comes with, this is an excellent product. It couldn't be any less demanding in terms of maintenance. You can always use a dishwasher or rinse it under lukewarm tap water, that will be enough to clean the container. Its size is really nice too. Measuring just 14 x 10.5 x 9.5 centimetres, the model barely requires any countertop/tabletop space. 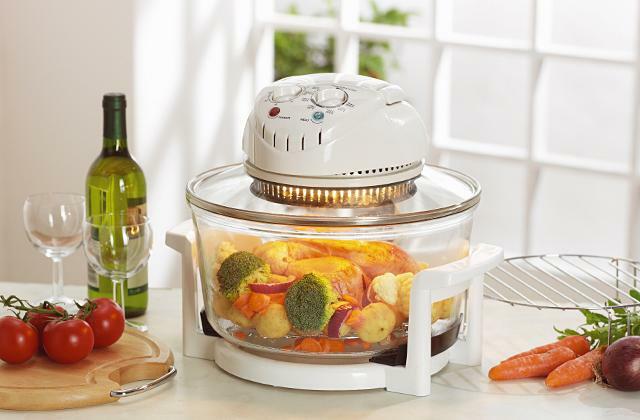 However, it will allow you to load and prepare up to 500 grams of tofu at a time. We can't say that the press has a sophisticated or elegant appearance but it does not look cheap either, which is impressive considering that it barely costs anything. Its polypropylene is food-grade and BPA-free, so it doesn't take on residual odours and tastes and isn't in any way, shape, or form harmful to your health. To conclude this little review, BU-Bauty BU2017 Homemade Tofu Press-Maker is a basic tofu press. It will allow you to drain the water from your tofu, turning the tasteless, spongy substance into a delicious, ethical, and healthy addition to your everyday diet. What Is a Tofu Press? Tofu is great. Most people find it delicious enough, with a taste similar to chicken. More or, at the very least, just as importantly, tofu is good for you. It is very low in calories. The substance is gluten-free, making it suitable for people with celiac disease. There's no cholesterol in it, not to mention how great of a source it is of calcium and iron. Just about the only issue most people have with tofu is that it can be a little difficult to prepare. But we'd say that's only the case when you don't have a tofu press at hand. 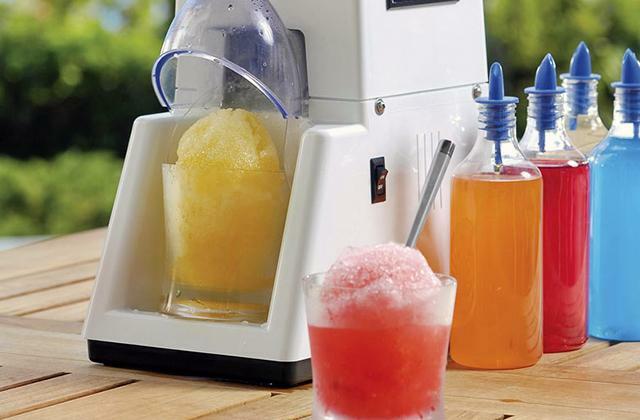 With a contraption like that, you're able to remove the water from your tofu. This way, you get a denser block with better texture. The rest is usually a cakewalk. It can be a little tricky to figure out one of these little tools but, with time and some extra help online, you should be able to get the gist of it. 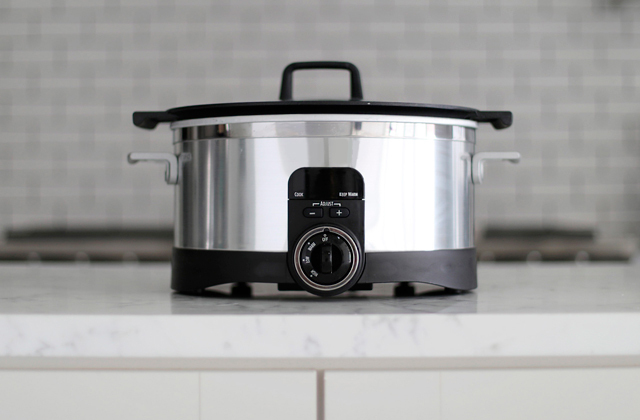 Furthermore, every model in this review has been carefully chosen and delivers on just about every level, just as well suitable for skilled cooks and people with very little experience. 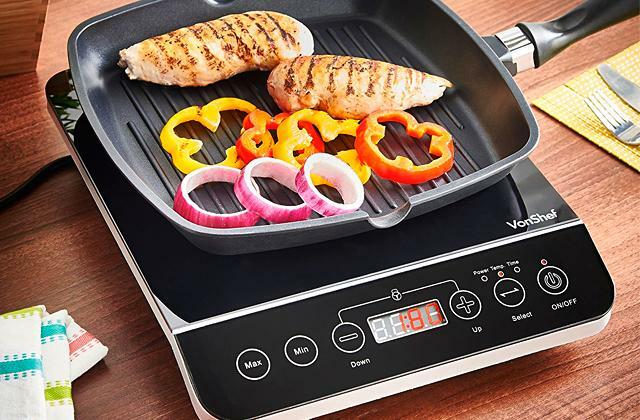 To prep and complete a nice healthy meal, one of these egg cookers and cheese slicers might also come in handy.